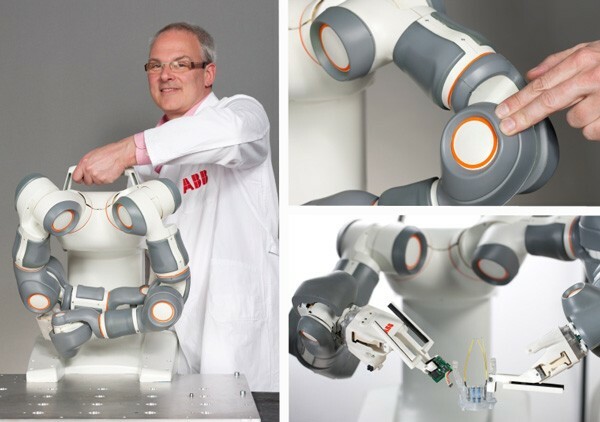 Don't be fooled by the "concept" label that ABB has affixed to its new robot. There can be only one logical conclusion to this endeavor: FRIDA and its ilk will one day replace the millions of young Chinese workers assembling our gadgets. It's no coincidence that this uniquely agile, dual-arm robot is compact enough to "fit into spaces ergonomically designed for human workers" and can be carried around "easily" to begin work with a minimum of installation requirements. In fact, ABB admits that several prototypes are already being piloted. The obvious advantage for Foxconn and friends is that FRIDA doesn't require a swimming pool, cafeteria, housing, or professional counseling to keep out of the dormitory nets. Watch FRIDA obey the first law of robotics at the 44 second mark of the video posted after the break as assembly line workers everywhere lament their lack of a handle.